All you need is five ingredients to have yourself an elegant hors d’oeuvres or light dessert. 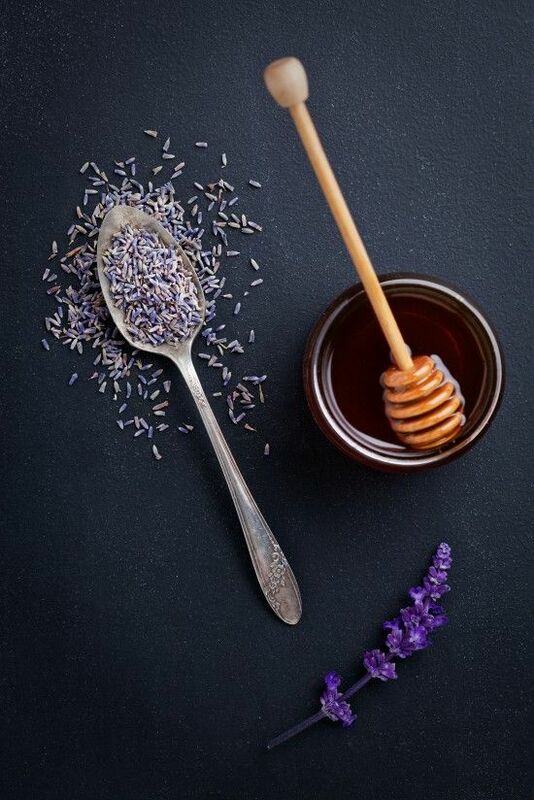 Over simmering heat in a double boiler, combine the honey and lavender. Simmer for 1 hour, stirring every so often. Strain into a cheesecloth, discarding the lavender remains. Let it cool completely before serving and storing it in a mason jar. Slice the Bauggette on a diagonal (makes them look pretty!). 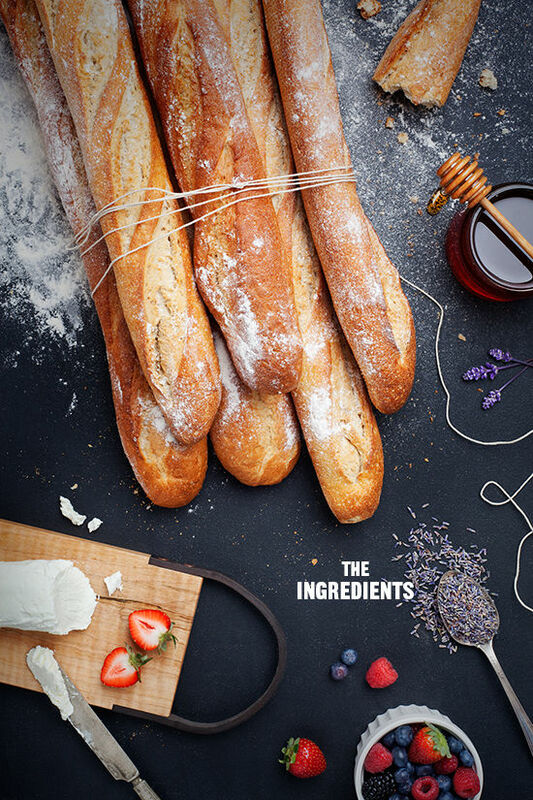 I like my bread with a soft center, but a traditional crostini is toasted. If toasting, preheat oven to 350F and line a baking sheet with sliced Bauggette. Bake for 15-20 until just golden and crispy. Let them cool and relax. 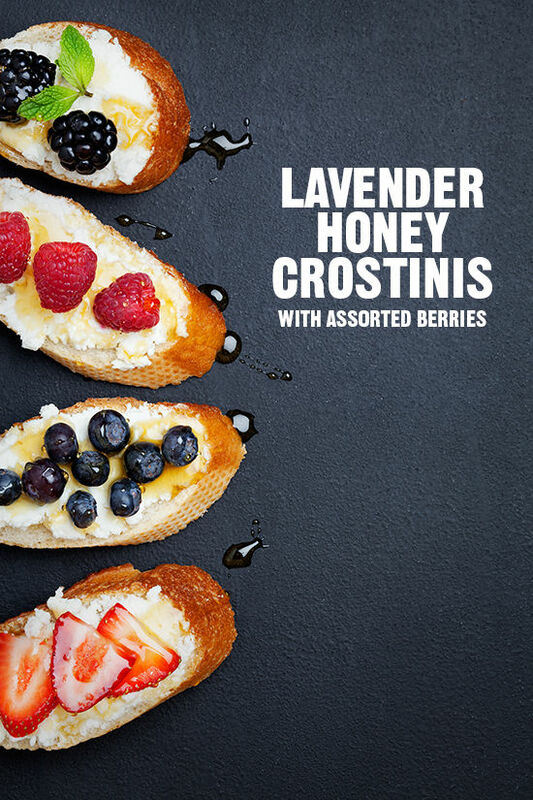 Smear each crostini with a layer of goat cheese and top with fresh berries and a drizzle of lavender honey. Garnish with a mint leaf. Yields: 2 cups. Ohmigosh, this sounds so super delicious! Will have to give this a try, love these photos too, so beautifully styled! I love making crostinis…easy appetizers! 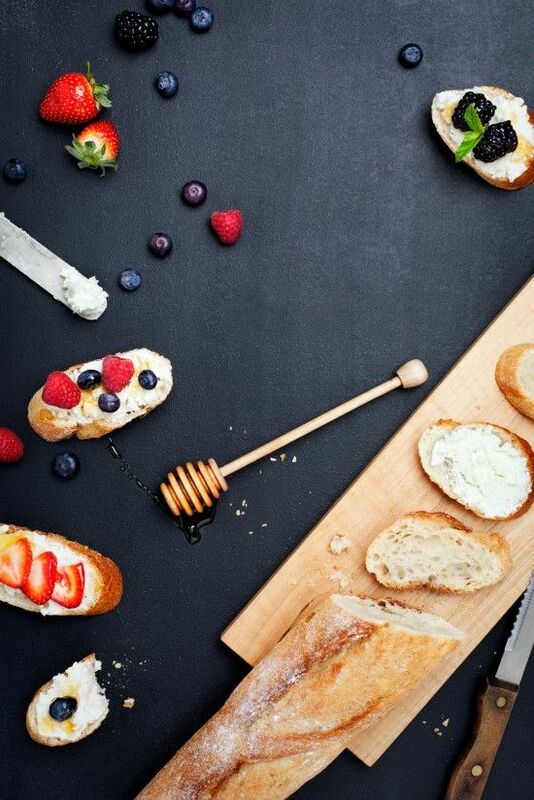 Mmmm this already looks delicious, but your expertly styled photos always make items look even more appetizing! Yum! Two of my favorites—lavender and honey! Although I’m not a goat cheese fan, but I’ll just replace it! Thanks for the recipe! I guess I’ll just have to keep working on mine and maybe one day they will be that good! These look delicious! I love having snacks like this out for friends… they look beautiful but let you get a little messy and build your own snack. Bri, I know you are photoshop pro so fixing that “lavendar” won’t take long! Love this! Will try it soon. The photos are absolutely beautiful too. leslie, you have the best photos! As a goat cheese addict this is my go to snack. 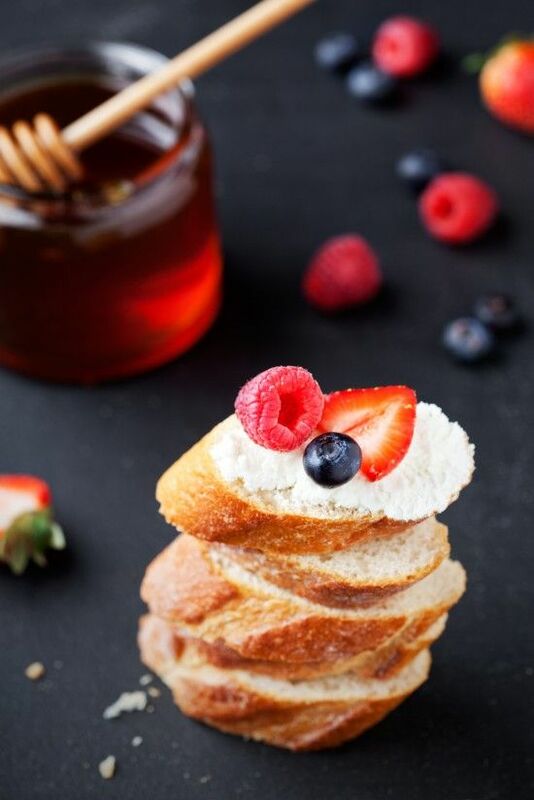 Goat cheese and honey. Best combination ever. And huge compliment to Leslie! She is doing an amazing job, her styling and photos are amazing! These photos, fabulous! Just love them…yumness.